Australia is famous for its summers; long, hot days spent enjoying the sun and the sea. Aussies can’t help loving it just as much as they love shortening words, and tucking into Macca’s. We needed to connect the nation’s favourite season with its favourite place to eat. 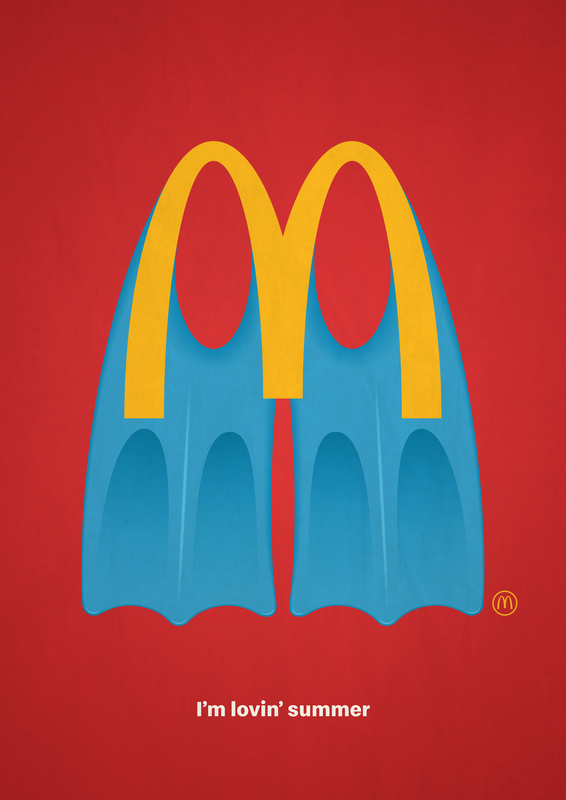 As the temperatures rose, “I’m loving it” became “I’m lovin’ Summer.” To accompany this new line, the iconic golden arches were used to create a suite of summer inspired icons. From flippers to thongs, Soft-Serves to buckets, snorkels to surfboards, and everything in-between, the arches were incorporated into graphics representing all things summer. The “I’m lovin’ Summer” icons cemented Macca’s position as an integral part of the Aussie Summer.